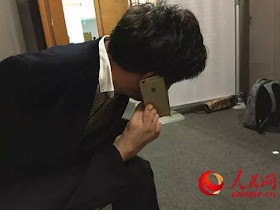 This is inspiring! 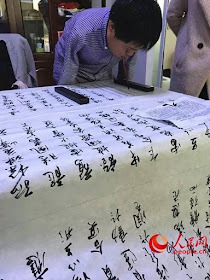 An armless man has become a master in calligraphy despite his challenge. 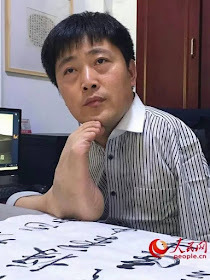 35 years ago, Shi Xiaohua lost his arms to an electric shock at the age of 6 in Rugao, China. Brave and strong as he is, he learned to eat, brush teeth, dress himself with his mouth and feet. 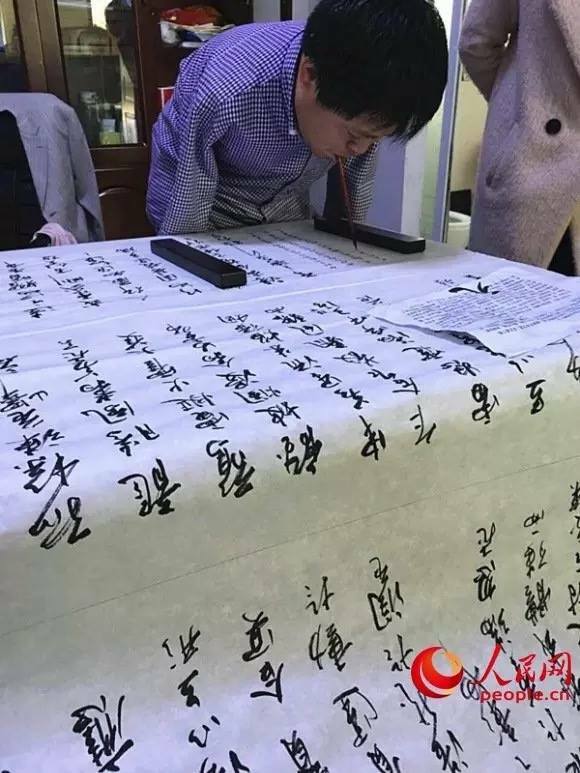 Holding a writing brush with his mouth, Shi even became a master in Chinese calligraphy. 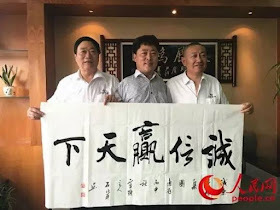 As his writing gains remarkable market value, Shi devoted himself in charity. He has donated over 3 million yuan (44.24 million USD) to the disabled and impoverished in the past eight years.